The unpopular tax takes in some €4 billion annually. ENDA KENNY AND Joan Burton have ruled out an immediate scrapping of the Universal Social Charge amid pressure from their respective backbenchers over the unpopular tax. The Taoiseach and Tánaiste were speaking during separate pre-Christmas briefings with political correspondents when they both ruled out any immediate scrapping of the USC in face of calls from Fine Gael and Labour backbenchers. Kenny said that he would hope to take around a quarter of the workforce out of USC altogether with changes in the next Budget after some 80,000 people were removed from the paying the charge in last October’s announcement. The coalition has now taken over 400,000 people out of USC since it came to office in 2011. Labour TDs and senators have been particularly vocal on the issue of scrapping the tax altogether in recent weeks, but Kenny said: “It’s not possible to do that given it brings in €4 billion at the moment, as you know. Both party leaders highlighted the changes in last October’s Budget which they says will remove a further 80,000 from USC with those that do pay the charge seeing a reduction in the amount they pay in their wage packets from next month. “So, what we intend to do is continue with the same sort of package in the next Budget, as we did in the last Budget,” Kenny said. “That means that we would hope to bring the number of workers whom this Government will have exempted from USC to almost 500,000, which is about 25 per cent of the workforce. Burton said her objective is to reform USC “over a period of years” and also raised the possibility that it could be used as a contribution for future pension payments. She explained: “What I have suggested is that the area where that could be used is, in fact, to assist people in increasing their pension over their lifetime. Read: Could USC tear the coalition government apart? Email “Joan and Enda both agree that USC can't just be abolished overnight ”. 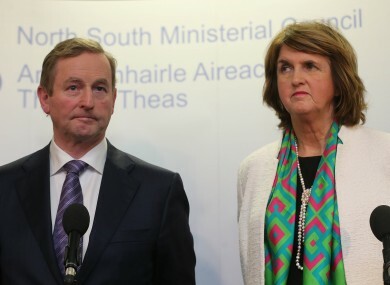 Feedback on “Joan and Enda both agree that USC can't just be abolished overnight ”.